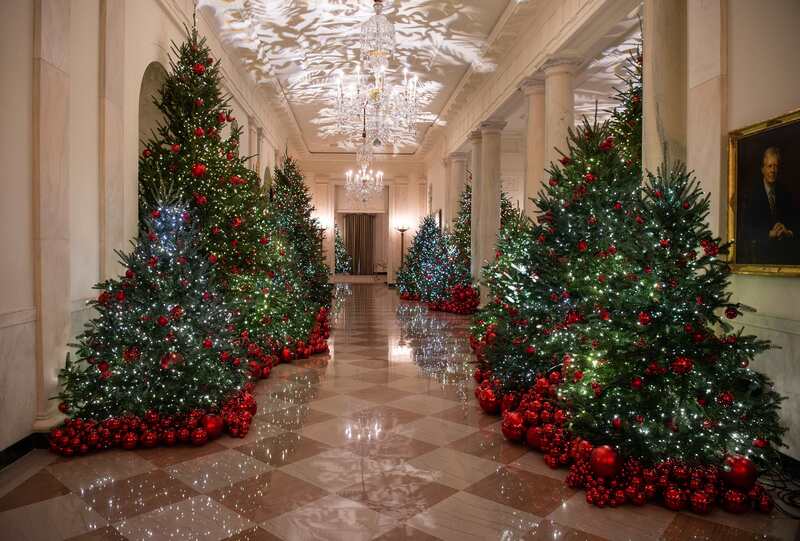 The best time to secure a White House tour is after Thanksgiving during the holiday season when the Executive Residence is decorated beautifully from top to bottom for Christmas. 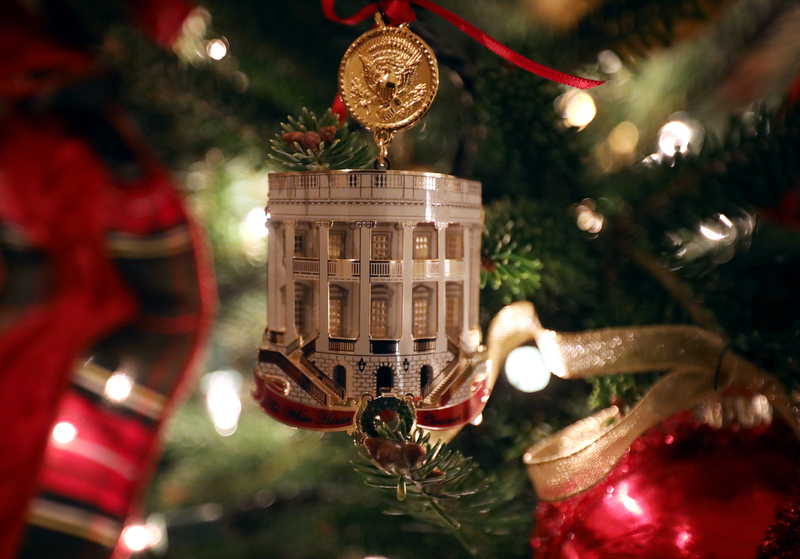 More than 30,000 people are expected to take part in an East Wing tour of the White House and thousands more will attend a holiday reception or smaller open house tour to see the famous décor. Mrs. Trump supports the creativity of everyday people and her staff. 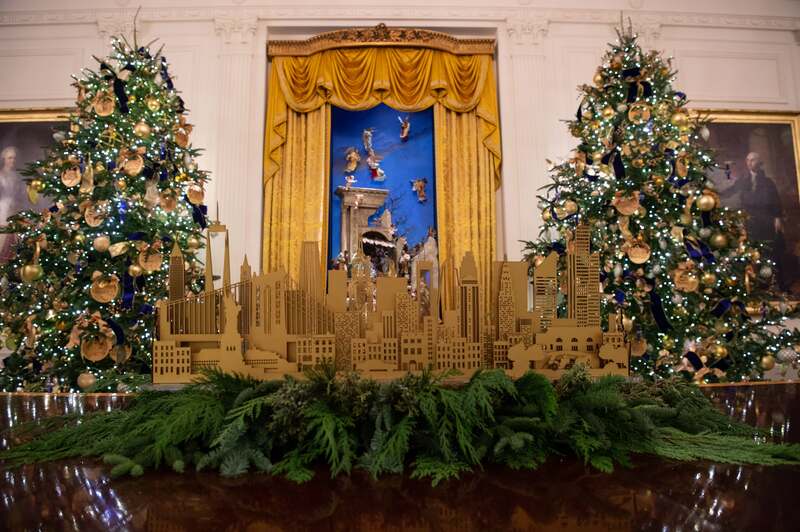 Upon entering the White House, guests will see an iconic historical building decorated by Americans from all over the country, whom she invited to apply to help decorate. Anyone could fill out the form to spend a few days getting the White House trimmed for the holidays. 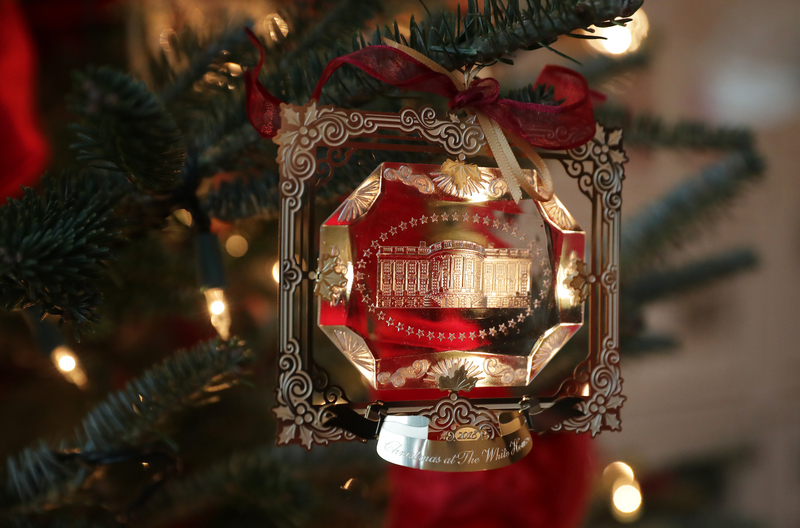 Inside the East Wing, visitors receive the coveted White House Christmas Tour booklet, which has become another tradition. The booklet details the décor and explains some of the messages and meanings behind the displays. This year, Mrs. Trump selected from within the White House itself for the artist, selecting John Botello of the Executive Residence staff to do the illustrations. For years, first ladies have selected a wide range of artists to decorate the holiday tour booklet and other things but rarely do they select artists from within the White House to showcase their talents. Mrs. Trump and the East Wing, since her first day, have been supportive from a wide range of things within the Executive Residence Staff, from sharing their talents in the State Dinner for Emanuel Macron by not bringing in outside consultants to taking Executive Residence Staff members to funerals of former first families. Mrs. Trump has continually celebrated the American people and the people that serve in the People’s House. Mrs. Trump reveres and celebrates Americana. This year’s “American Treasures” theme is a celebration of American history and the White House-something that she has continued to do since 2016. From being the premier first lady to open the White House movie theater for all to see on the public tour to her first social dinner honoring the White House Historical Association to pumpkins carved to resemble our Founding Fathers during Halloween, she has repeatedly honored the unique heritage of America. And this year’s theme continues to prove that she is committed to celebrating and preserving American history as a priority and the decor shines with that spirit of patriotism she holds so deep. Entering the Red Room, some may be surprised to see how she has incorporated “Be Best” into the décor. 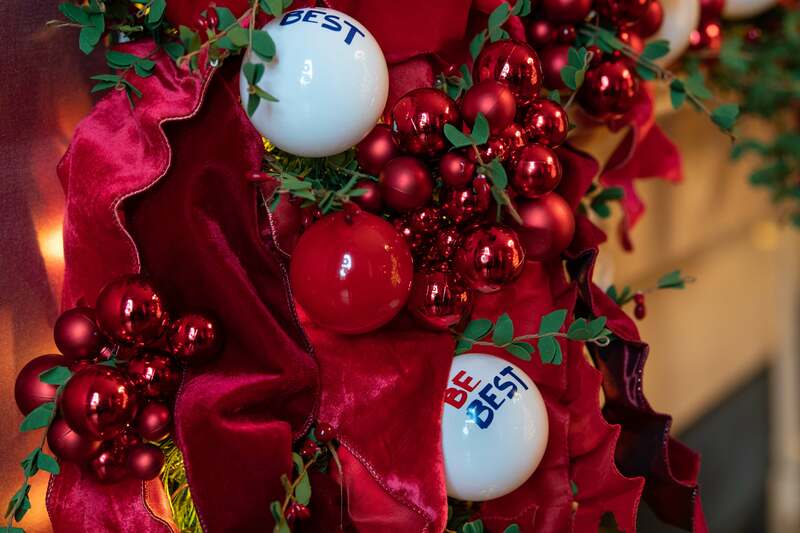 Never wavering from her strong commitment to her recently launched campaign Mrs. Trump has uniquely added small “Be Best” treasures, such as custom wreaths made of Be Best pencils in the windows and “Be Best” ornaments weaved throughout a garland draped over the room’s historic mantle. She further celebrates it with a tree in the middle of the same room filled with ornaments such as soccer balls, musical instruments, bikes and more, encouraging children to “Be Best” in their own individual paths. She is proud of the campaign and proud to highlight it, this Christmas; “Be Best” is here to stay. Mrs. Trump reminds Americans to honor our troops. The tradition of doing something to honor the many families of those still on active duty and the fallen is again seen in Mrs. Trump’s decision to keep the Gold Star Family Tree. Decorated by Gold Star families themselves, the tree honors the troops and families who have sacrificed to protect our freedoms. Knowing that this can be a hard time for the families and for our military men and women serving, Mrs. Trump has digital tablets nearby so that visitors can write messages to those serving our country during this holiday season. Mrs. Trump has a classic yet understated décor. It is clear that the First Family loves gold. It is a symbol of strength, stability, power, and of course elegance. Mrs. Trump’s preferred décor is understated elegance and that is something that is a standard she has set at the White House. nstead of focusing on the décor, she selects décor that celebrates the People’s House and highlights its exceptional architecture. 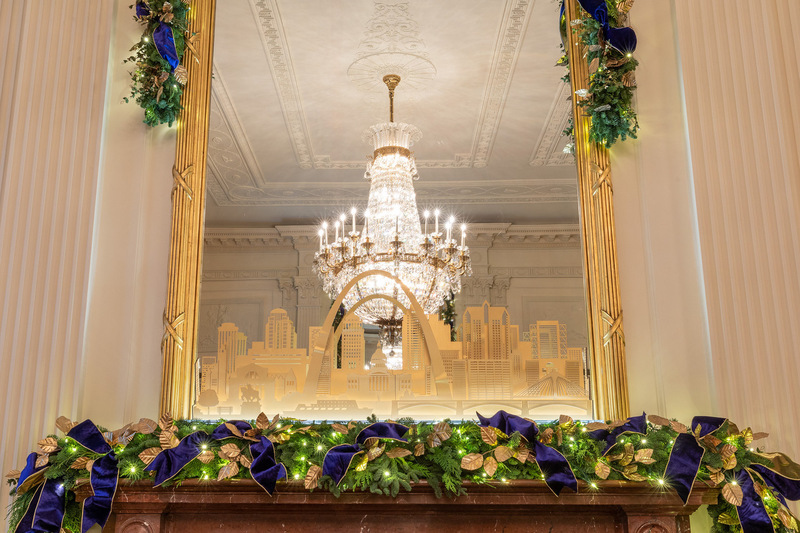 Her holiday décor for the past two years has included a streamlined collection of colors of gold, white and cream often using historic pieces of the gold vermeil White House collection in the State Dining Room. This palette is a favorite of hers as she has used it for their social occasions, as well. President Lincoln’s portrait flanked by large Christmas trees trimmed in her favorite colors with eagles on top has never shined so brightly. It is never over the top, just simple, classic, elegant. Americans continue to get a glimpse into who Mrs. Trump is and what drives and motivates her. Interestingly enough, even in something as simple as décor they have the opportunity to learn about her dedication to America, her citizens, especially the children, and the troops. Mrs. Trump uses every opportunity to message to us in a positive way if we are watching and listening even during this holiday season. Jennifer Boswell Pickens is a White House East Wing historian with an expertise in White House traditions, social events and First Ladies. She is the author of two books, Christmas at the White House and Pets at the White House. Follow Jennifer on Twitter.